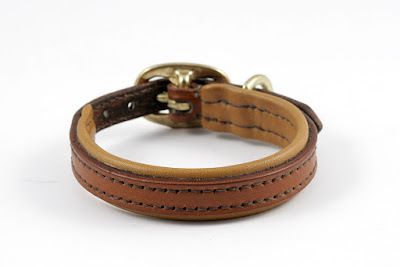 This is a hazel leather set made for a Dachshund. 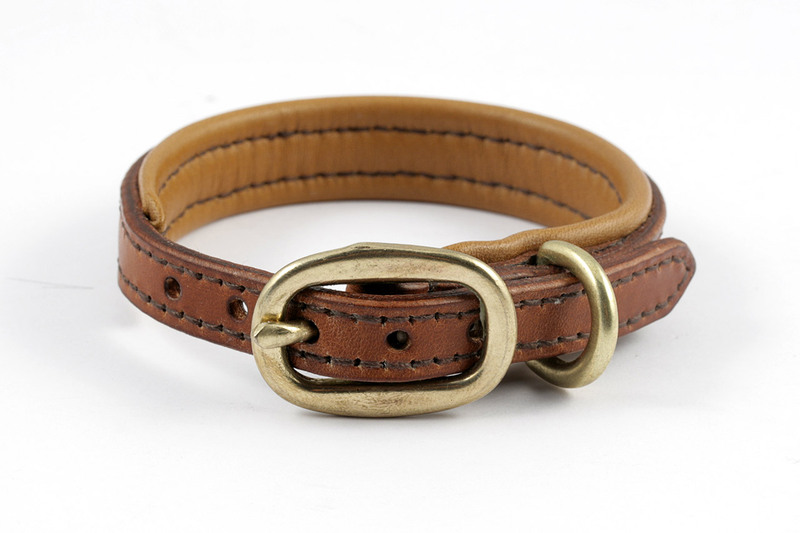 Here's the collar, 1/2" wide with caramel padding and oval solid brass buckle. This is the leash with interchangeable hook snap. 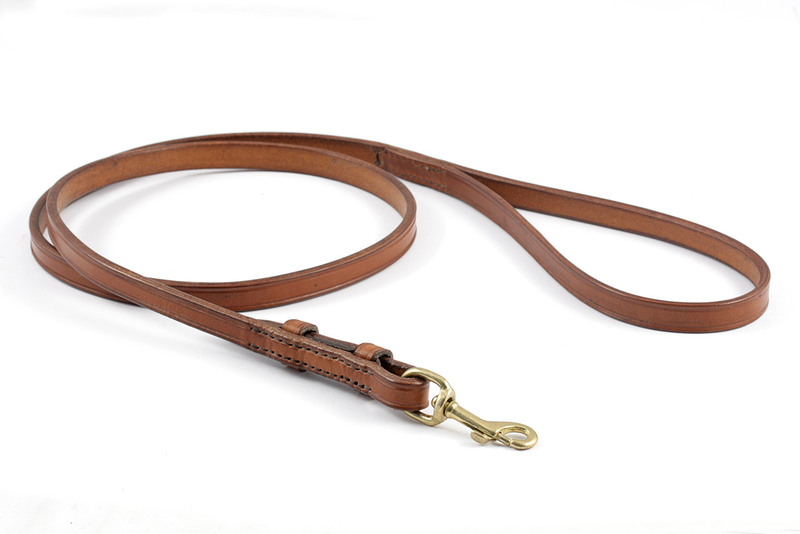 It measures about 4 ft (120 cm) and it is made from a 1/2" wide strap. It features a small brass hook snap.